Having provided significant funding for the Achieving Independence and Mobility (AIM) program at Cranleigh School last year, the Rotary Club of Hall has continued its support with the commissioning of a new sensory playground. 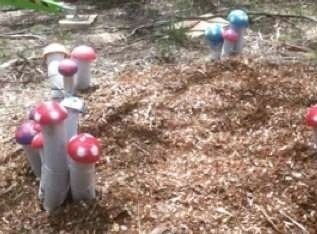 A local Canberra instrument maker has been contracted to build a ‘Magical Musical Mushroom Garden’ in the playground that all of the children will have access to. ‘We would like to say a huge thank you to Hall Rotary for your support. This will be fantastic for the children. We already know how much they enjoy music, especially if they can create it themselves,’ explained Principal Karin Wetselaar.